Singapore, 7 May 2018 – HOYA Surgical Optics, the world’s fastest growing IOL company and leader in preloaded delivery systems, has obtained European CE Mark for the Vivinex™ IOL with the new multiSert™ 4-in-1 preloaded delivery system. multiSert™ offers cataract surgeons unprecedented control in the palm of their hands as they now have the option of using either a two-handed screw or a one-handed technique while implanting the IOL. 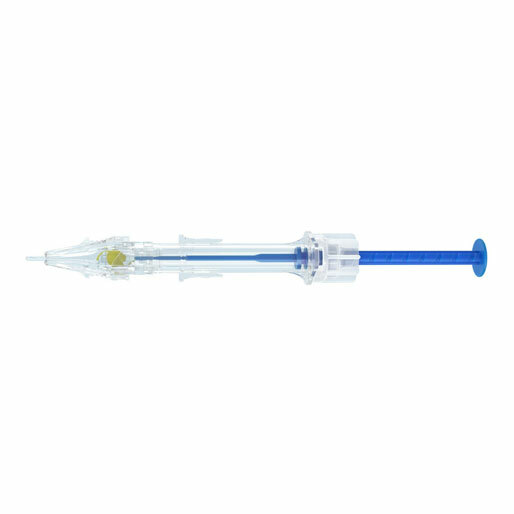 Additionally, multiSert™ comes with a uniquely-designed insert shield that allows the user to either implant the IOL directly into the capsular bag or through the incision tunnel, when the insert shield is advanced. The new device will be presented at the upcoming 36 th Congress of the European Society of Cataract and Refractive Surgeons (ESCRS) taking place from 22 to 26 September 2018 in Vienna, Austria. or a one-handed push implantation of an IOL. This offers surgeons a high level of flexibility and control when implanting the IOL into a patient’s eye. Usability assessments by cataract surgeons confirm that multiSert™ offers outstanding performance in controlled delivery and release amongst other similar products in the market. The new multiSert™ will be introduced on HOYA’s flagship premier product platform, Vivinex™. With close to 1 million Vivinex™ IOLs implanted, it is now the most proven new IOL material platform in the world offering unprecedented clarity of vision. It is made of a glistening-free1 hydrophobic acrylic material with a unique, proprietary active oxygen processing treatment to significantly reduce posterior capsule opacification (PCO). unprecedented clarity of vision complemented by unrivalled control in the palm of the surgeon’s hands. We truly believe that the Vivinex™ multiSert™ will be a game changer in the preloaded IOL delivery system space” said John Goltermann Lassen, Chief Executive Officer of HOYA Surgical Optics. Vivinex™ multiSert™ is expected to be commercially available to cataract surgeons in selected countries from September 2018 onwards. It will be available in clear and yellow lenses. Learn more at the HOYA Surgical Optics booth #B209 at ESCRS. With more than 75 years of optical product expertise from the HOYA Group and over 30 years of experience in designing and producing intraocular lenses (IOL), HOYA Surgical Optics’ mission is to improve vision and quality of life for millions of people suffering from cataract. Based on the core tenets of Quality, Trust, Dedication and Attention to Detail, Hoya Surgical Optics develops innovative and high-quality products that offer ease of use, safety and reliability to eye surgeons and ophthalmologists worldwide. HOYA Surgical Optics is the fastest growing IOL company in the world and the global market leader in developing preloaded IOLs. HOYA Surgical Optics is a division of HOYA Corporation. Founded in 1941 in Tokyo, Japan, HOYA Corporation is a global technology and med-tech company and a leading supplier of innovative high-tech and medical products. HOYA is active in the fields of healthcare and information technology, providing intraocular lenses, eyeglasses, medical endoscopes, optical lenses as well as key components for semiconductor devices, LCD panels and HDDs. HOYA currently employs a multinational workforce of over 36,000 people across its 150 offices and subsidiaries worldwide. Please note: multiSert™ is currently not available in Germany. 1. Vivinex™ meets the glistening Grade 0 criteria based on the Miyata Scale during several accelerated in-vitro glistening evaluations.